Yvonne of Quilting JetGirl finished this lovely version of my Three Flocks pattern and kindly agreed to let me post about it. 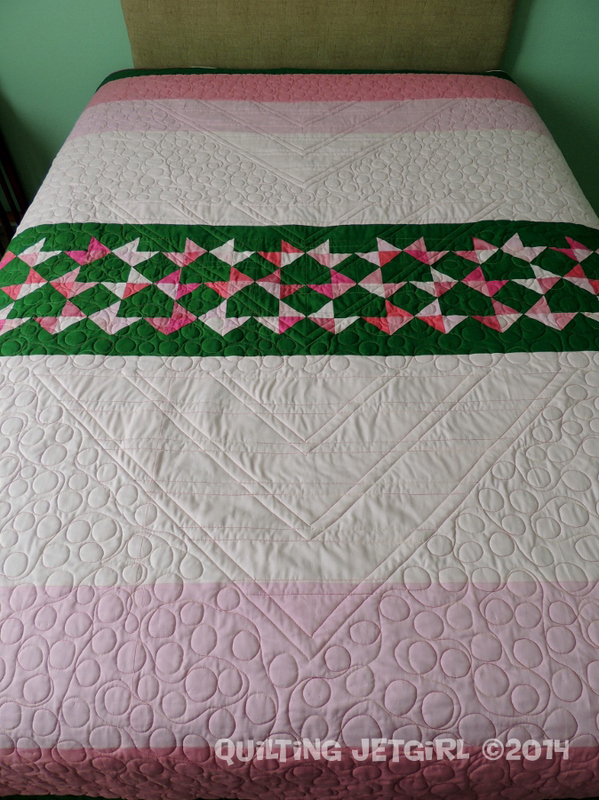 I really love the way she accented the large triangles with her quilting, and the swirls are so fun. Here is the back. 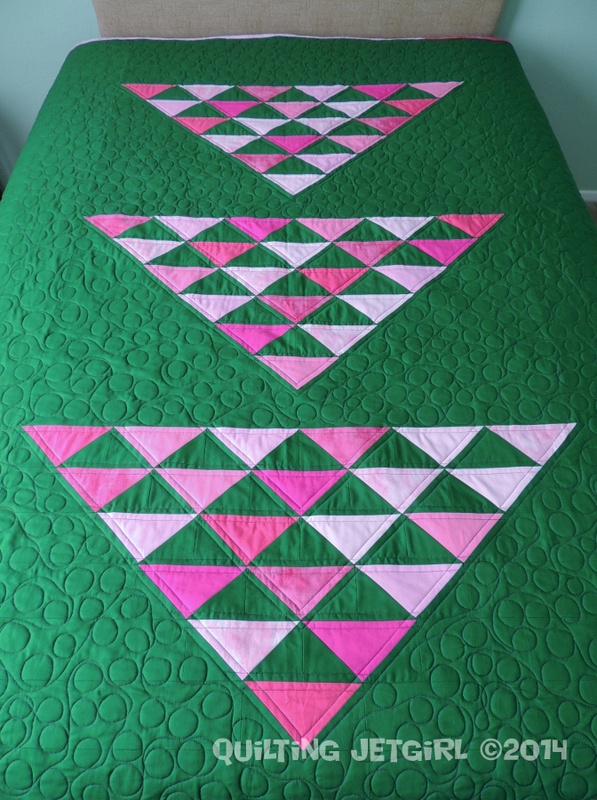 She used the little triangles left over from making the flying geese blocks to add a pretty detail to the back. It reminds me of origami. I’m inspired to use my bag full of corner scraps. I knew I saved them for a reason! Nice work, Yvonne! Thanks for sharing and for the inspiration. This entry was posted in inspiration, pattern, quilts and tagged free motion quilting, Quilting Jetgirl, three flocks pattern on September 25, 2014 by brigitdermott. Thanks, Yvonne! As you can see I haven’t been blogging but I have been busy sewing and quilting! I hope your new year is off to a great start! Thank you so much! I don’t know how I missed seeing this post way back in September.